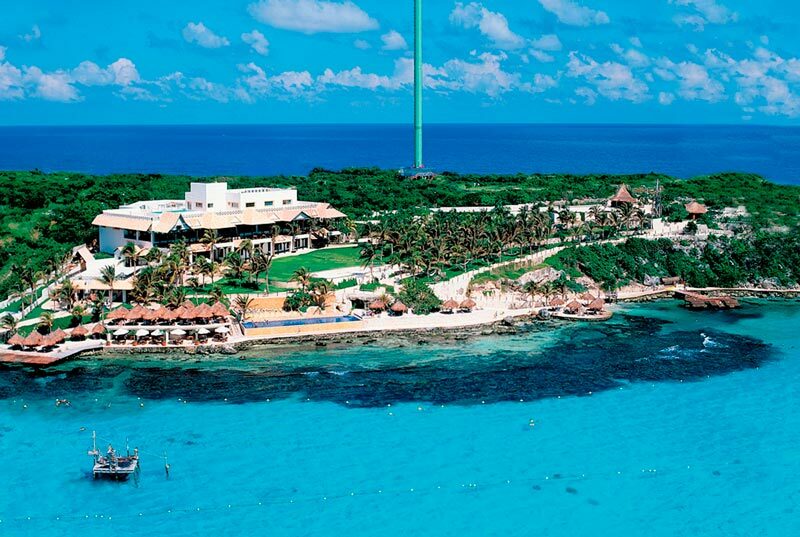 Find more than 20 different activities in Garrafon Reef Park at Isla Mujeres, Mexico. 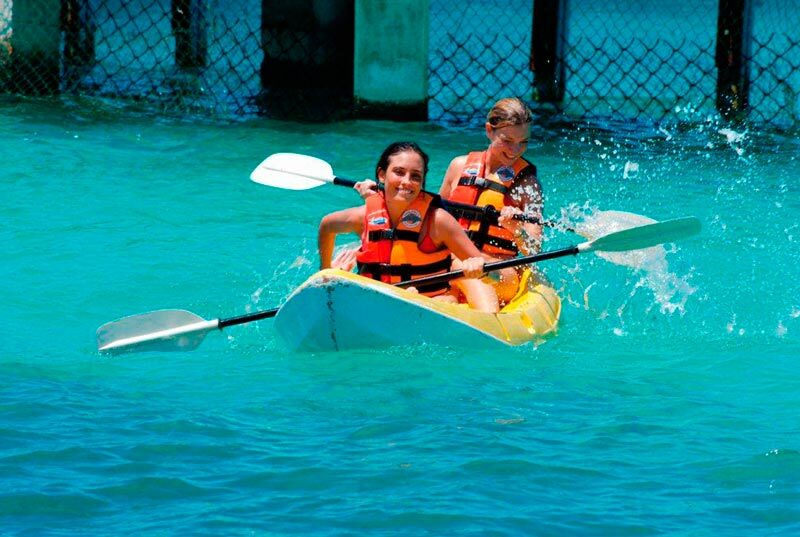 Located only 25 minutes away from Cancun (ferry ride from Cancun included), Garrafon Park is the best option to enjoy water activities in Isla Mujeres. Hiking, biking, flying over the turquoise waters on a zip line, kayaking, snorkeling and swim with dolphins are some of the main attractions in this beautiful terrestrial paradise called Garrafon. 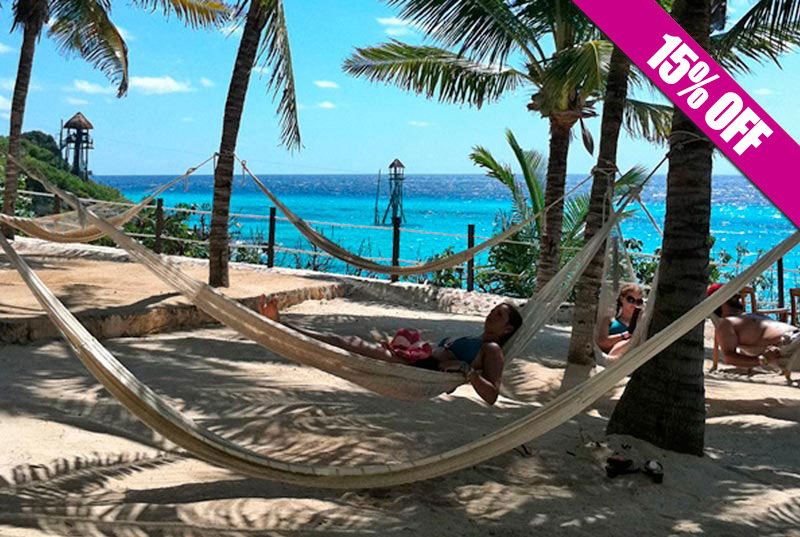 There's also time for relaxation on private areas with hammocks, lounge chairs and tropical bars. An all-inclusive expierence you can't miss, book your Garrafon Park tour now! 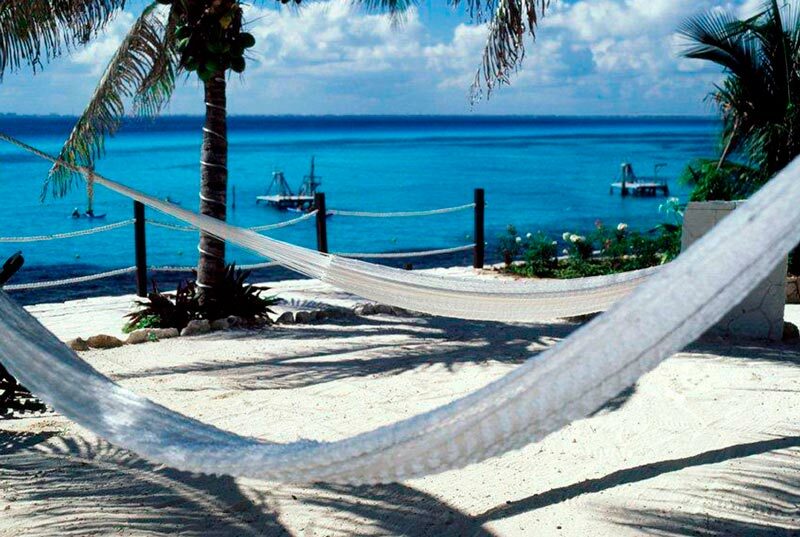 Garrafon Reef Park is the best way to visit Isla Mujeres, Mexico. 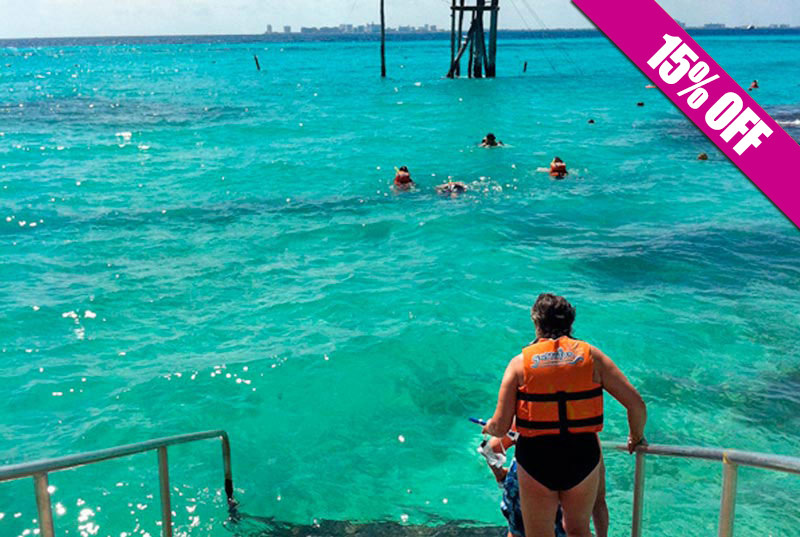 20+ activities available for you including the best reef snorkeling in Isla Mujeres, a Zipline over the waters of the Caribbean Sea and Punta Sur, a beautiful cliff which is the first spot on Mexican soil touched by the sunrise light every morning. Ferry to Isla, amazing facilities, unlimited food & drinks included. Garrafon Park, adventure and relax in the same place. Book now! "Round trip ferry transportation between Cancun and Isla Mujeres from the ferry pier "Playa Tortugas". Entrance Fee to Garrafon Park. Shopping Tour of Isla Mujeres. Ground transportation from your hotel (available at extra cost). Photos of your experience (optional at extra cost). 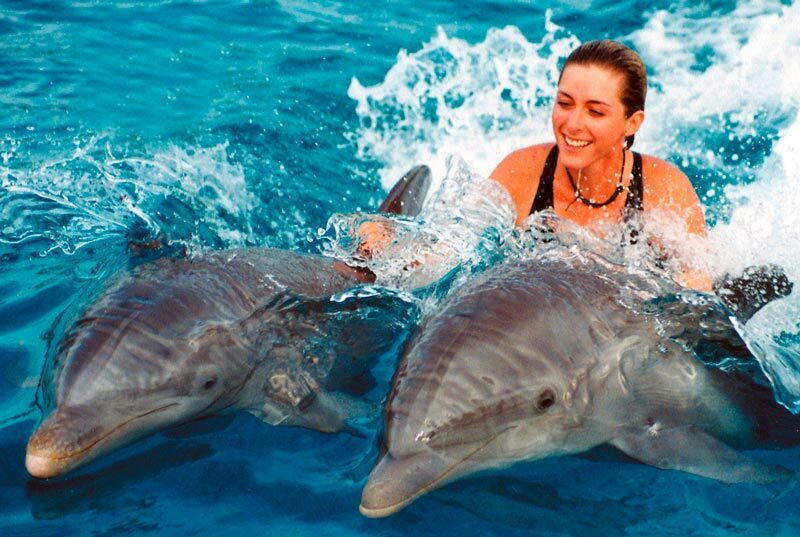 Other activities in Cancun or Isla Mujeres such as swim with dolphins. Bring comfortable clothes and shoes, sunglasses, biodegradable sunscreen, swimsuit, dry clothes, towel and cash. Only children under 5 y.o. free entrance to the park). For safety reasons, pregnant women with more than 5 months are not allowed in any of our aquatic activities. Pregnant women with 5 months or less will be able to participate only if accompanied by another adult and having signed the responsibility form. It is important to arrive 30 minutes before boat departure. The use of a safety vest is required for some Garrafon Park water programs. 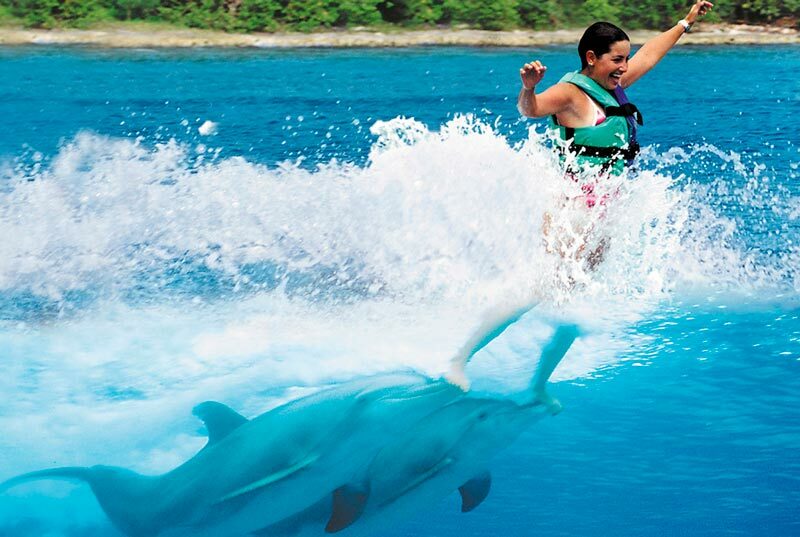 Experience all Garrafon Natural Reef Park's water activities and complete your perfect day with Dolphin Royal Swim the most complete program available. 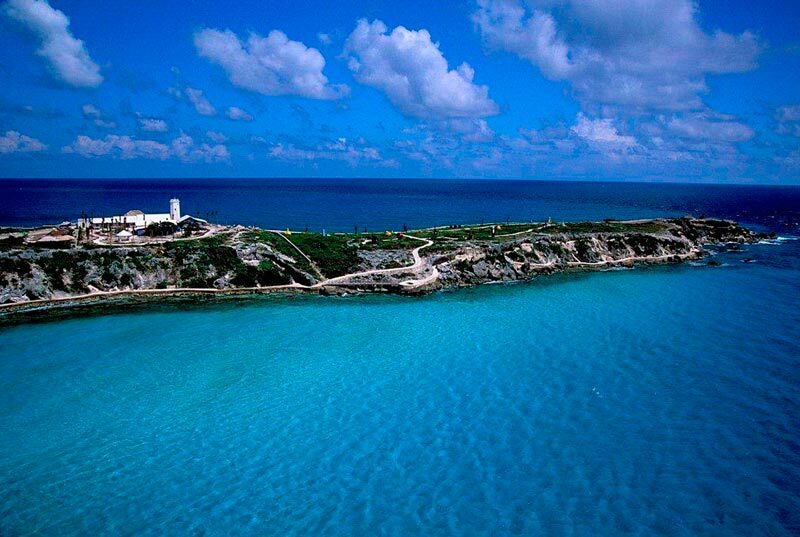 More than 20 activities to enjoy in Garrafón Reef Park such as snorkeling, kayaking, hiking and ziplining. 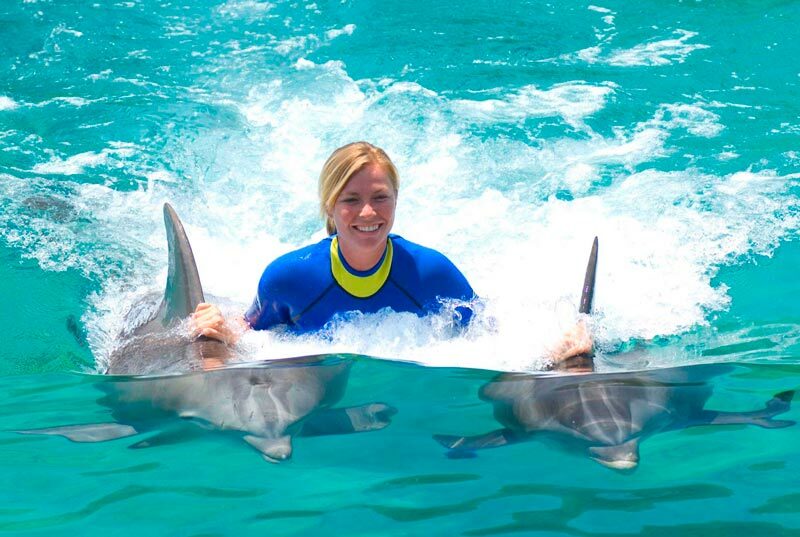 Live the most exciting experience enjoying more than 7 different dolphin behaviors such as the famous "Foot Push" and "Dorsal Tow". Book now and save up to $110 usd. over the price when booked separately! Round trip ferry transportation between Cancun and Isla Mujeres. Dolphin Royal Swim VIP: 2 dolphins, 15 min briefing and 60 min in the water. 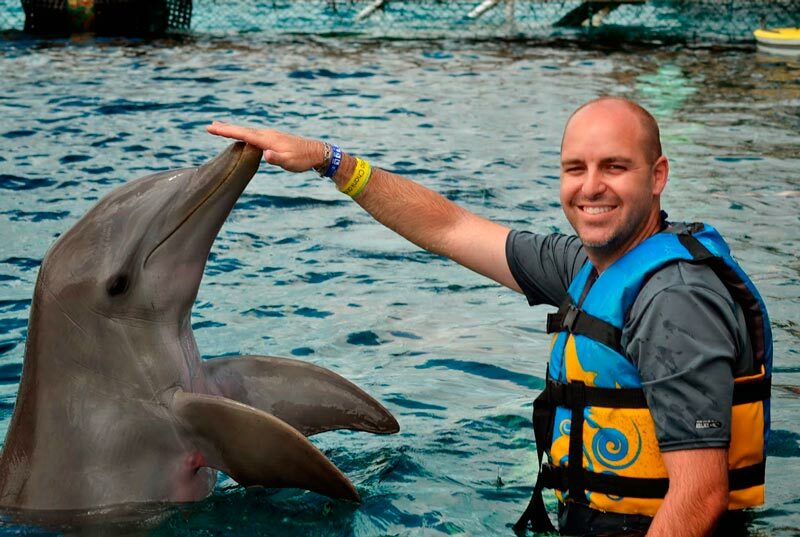 Dolphin interactions: Foot Push, Dorsal ride, Hand shake, Hug, Kiss, Hand target, Free time. National open bar all day long (only available for adults 18 years and older). Entrance Fee to Garrafon Natural Reef Park. Walking tour to Punta Sur . Tour to Isla Mujeres down town. Bike tour to Ixchel goddess' Mayan Temple. Ground transportation from hotel to pier (optional w/additional cost). Meals and beverages at Dolphin Discovery Isla Mujeres (only available at Garrafón Park). Federal dock fee $10.00 Usd. Per person, payable at check-in. The turtle farm tour takes place during the bicycle tour and it has an aditional cost. Dolphin Royal Swim groups have a maximum of 10 people for closer experience. 6-12 year old children can swim with a paid adult. 13+ year old ones can swim on their own. In some cases kids shorter than 3´ 11” aren’t able to perform specific interactive activities with dolphins (designated by trainer). For security reasons 5 month and up- pregnant women can´t participate in any of our aquatic programs. Only in Encounter program, women with less than 5 month pregnancy can participate with another adult as a companion and after signing the Responsibility Form. 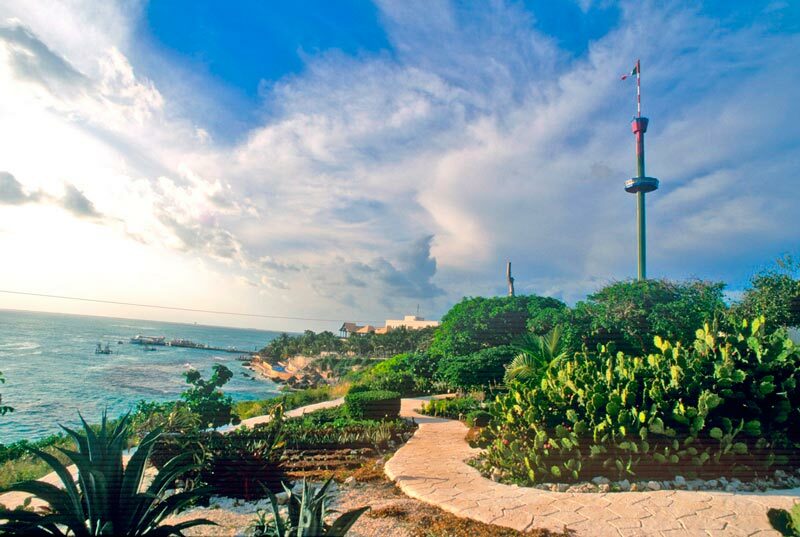 Garrafon National Reef Park is one of Isla Mujeres highlights, offering you more than 20 different attractions such as snorkeling, kayaking, bycicle tours and visit to Punta Sur where you'll find "El faro" and the Sculpture Garden. 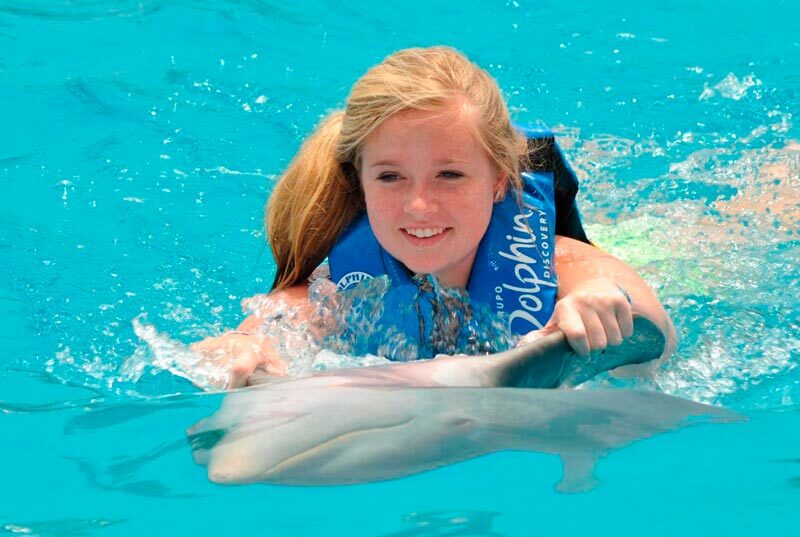 Dolphin Encounter is the swim-with-dolphins program that fits the entire family, and it's perfect for small children, pregnant women or others who prefer to remain in shallow water. Book this combo now! Dolphin Encounter: 15 min briefing and 40 min in the water. 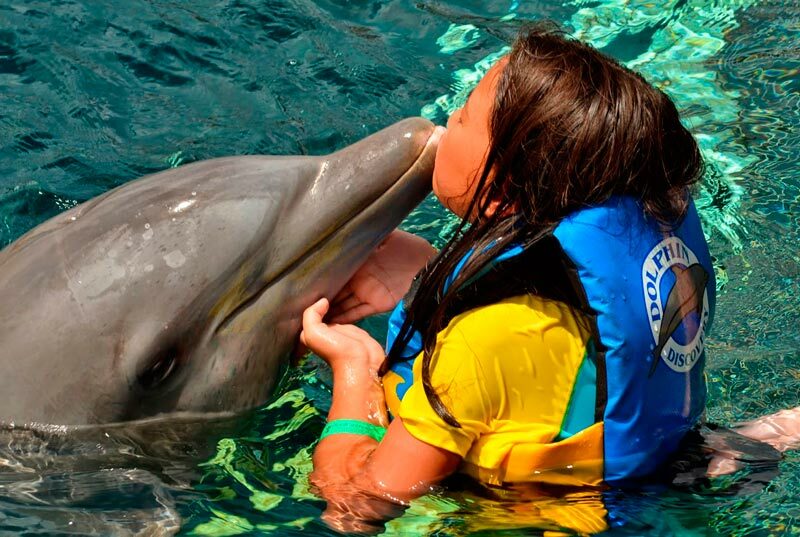 Dolphin interactions: handshake, a kiss, hand target and free time with the dolphins. National open bar (only for adults 18 years or older). Isla Mujeres down town Tour. Bicycle Tour to Ixchel godess' Mayan Temple. Ground transportation from hotel to pier (optional with additional cost). Federal dock fee $10.00 USD. Payable at check-in. To book 1-5 year old children please call us. 4 and 5 year old kids pay the dock fee. The perfect mix of nature and adventure. 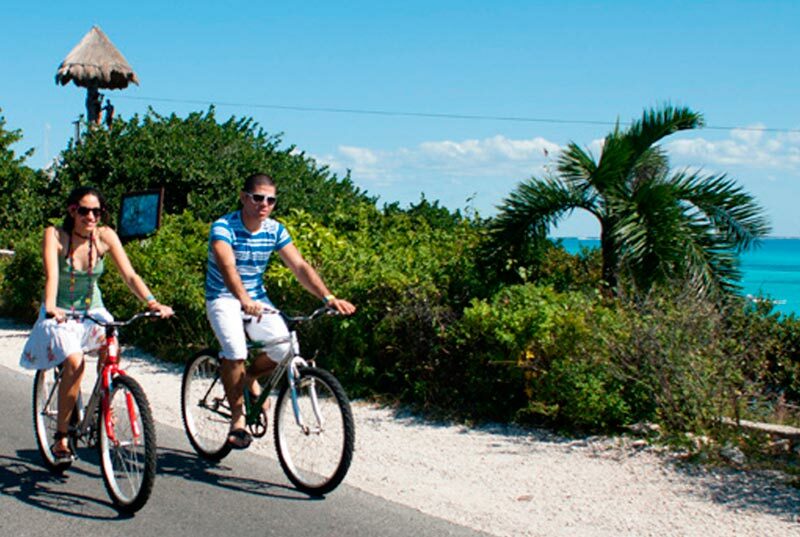 Relax and enjoy more than 20 activities in Garrafon Reef Park such as kayaking, ziplining and snorkeling. 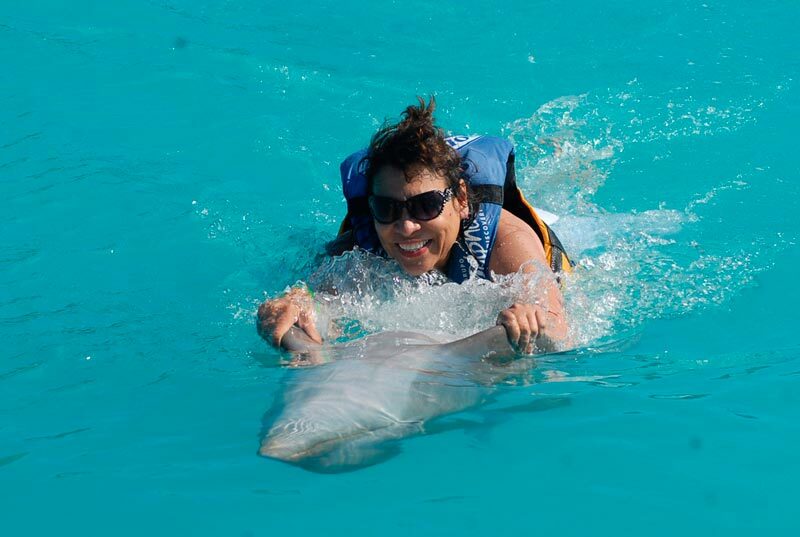 Add some adrenaline to your trip with Dolphin swim adventure, interact with this playful animals: kiss, hug, belly ride them and finish off with an exhilarating boogie push that will give you a swift ride through the water. Book now this combo and save more than 40% off over the price if booked separately! 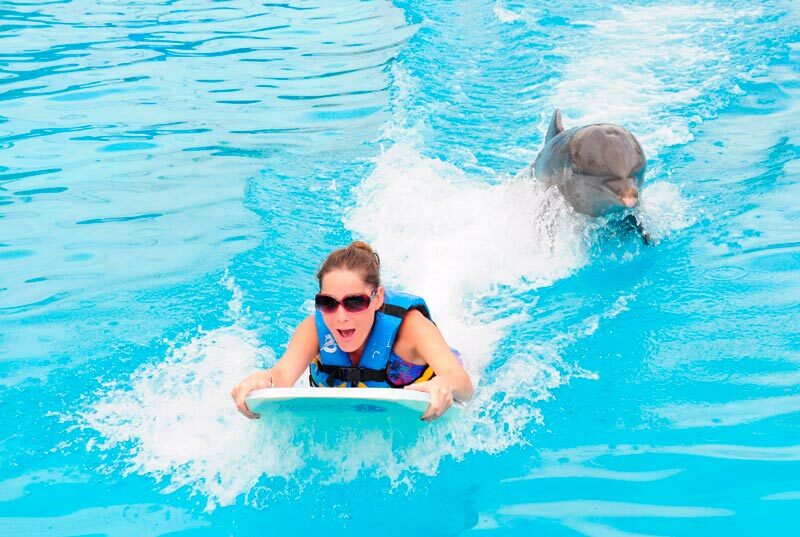 Dolphin Swim Adventure groups have a maximum of 12 people for a closer experience. 6-12 year old children can swim with a paid adult. 13+ year olds can swim on their own. In some cases kids shorter than 3´ 11” are not able to perform specific interactive activities with dolphins (designated by trainer). For security reasons 5 month and up- pregnant women can not participate in any of our aquatic programs. Only in Encounter program women with less than 5 month pregnancy can participate with another adult as a companion and after signing the Responsibility Form.